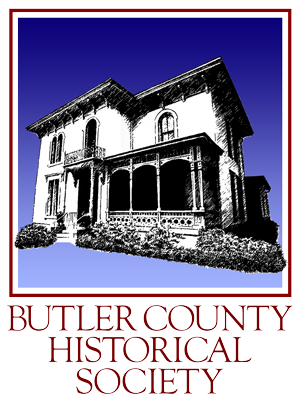 Interested in a membership to the Butler County Historical Society? Fill out the form below and join us! Alternatively, feel free to download our mail-in application and pay instead with a check/cash. Please fill out the form below with your membership information. You will be redirected to Paypal on the next page at checkout. After submitting, please make sure you complete your checkout after you're redirected to Paypal.